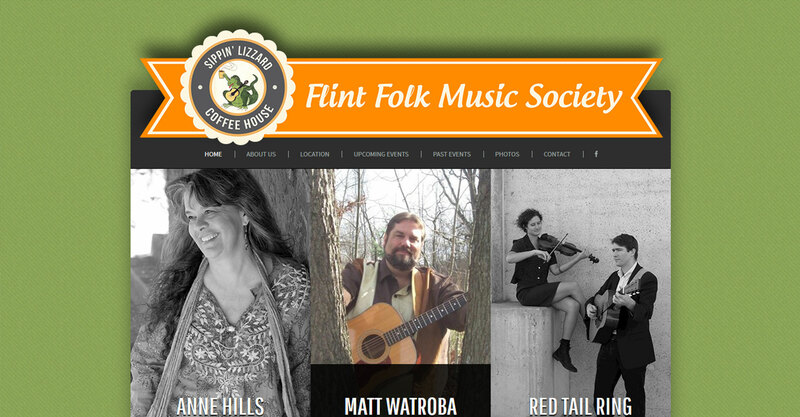 The Flint Folk Music Society is an organization of people in Flint, MI who enjoy folk music. We built them a WordPress website with the Beat Heaven theme from ThemeFuse. 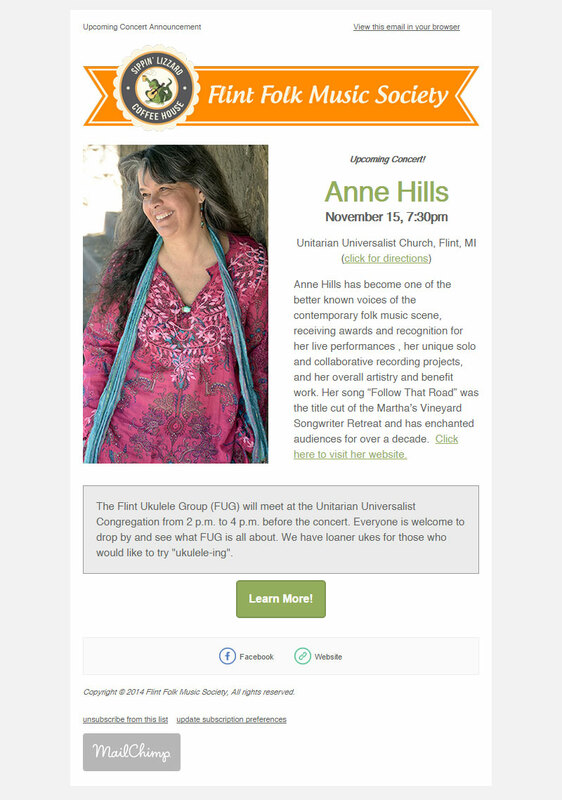 It included a custom events slideshow, contact form, and event listings. 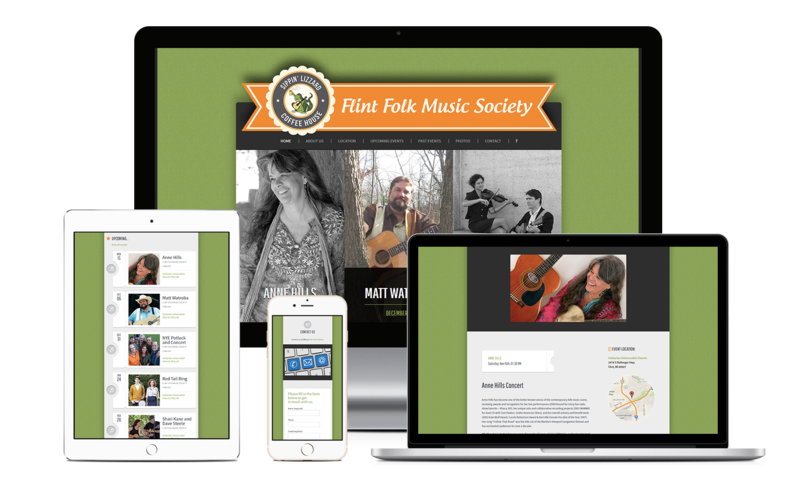 We also made them a new logo and prepared an email marketing template for them in MailChimp. Jessica was a pleasure to work with. She was creative in her approach to our requested service including web site design and e-mail service. We really like what she did with our web site design. It is attractive and informative. In addition, Jessica provided excellent support as we took over primary responsibility for maintaining the site. She always responded quickly to our calls and provided excellent documentation. I would recommend her to anyone looking for technical services including web site development and support. She is, as mentioned above, creative, talented and provides great service and customer support.